Many sales managers have long led teams of traveling reps, but as technology has destroyed the barriers of communication remote-work situations have become increasingly commonplace. More employees are working home for a variety of different reasons, from cutting commuting costs to attending in-person sales calls on a consistent basis. According to research from Virgin Media Business, approximately 60% of workers in offices will be working remotely by 2022. Savvy managers have to learn how to properly motivate and monitor their off-site colleagues, and make them feel like they are as important to the company as the employees who work only a few feet away. It’s easy to see how coaching activities are overlooked for employees who work remotely. Managers who haven’t established a specific timeline for individual or group coaching might have their memory jogged when they pass by a sales rep’s desk, or they may even rely on the sales associates themselves stopping in at designated meeting times. Of course, these opportunities are fewer and farther between when it comes to off-site team members. You won’t see them in the cafeteria, or be reminded of a feedback session when they visit your office. However, it’s still vital you keep up with your coaching responsibilities as if your sales reps were directly in front of you. 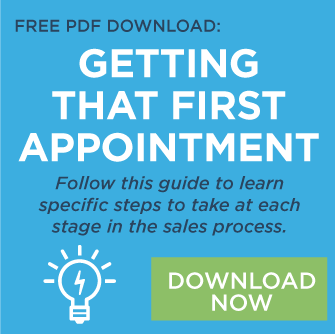 So, keep a running list of ways you can help your salespeople improve and make it a daily priority to provide at least one of them with advice or resources that will enhance their performance. Once again, it’s a very different experience for employees who aren’t able to swing by your office when they have a question or something to report. Most companies now utilize intra-office chat programs which can be an efficient way to communicate throughout the day, but many sales reps who are spending the majority of their day on sales calls don’t have the luxury to use these often. Plan for scheduled phone or Skype conversations with your sales team, whether individually or as a group. Also, take the time to compile a list of questions you have for them to be discussed at once, and encourage them to do the same for efficient use of time. If your organization employs remote and on-site sales teams, one of the biggest hurdles you are going to have to overcome is making sure your off-site representatives feel as included as possible with the rest of the company. It’s easy for a sense of separateness to become embedded in these situations, and that only serves to stoke resentment and feelings of inadequacy. This is why it’s vital to train yourself to use inclusive language whenever possible, and foster the belief that everyone is united on the same team. Management experts recommend focusing on commonalities between groups, and minimizing the differences. As a further attempt to standardize procedures for all of your team members, you should make a commitment to evaluating the same daily metrics for your off-site employees as you do for those who work in the office regularly. Expectations for performance-related metrics should be clearly communicated to all your team members, and remote employees must also be immediately informed of any changes in goals or reevaluations of performance plans. The intent is always to make your entire sales operation feel like a cohesive unit, and standardizing performance expectations is the only way to ensure consistency no matter the location the sales professionals are working from. On-site employees often go through their day without even thinking about the opportunities they have for extracurricular discussions at work. They chat with each other about last night’s big episode in the break room, talk about what movie they’re going to see this weekend by the coffee machine, or inform a coworker how their kid’s recital was the previous night. Because remote employees lack these chances, their conversations with colleagues at the office can feel like they are entirely work-centered, which can be draining. To alleviate this problem, build some time into your calls to discuss personal or pop-culture-related events with your off-site team so they can feel like they are a part of the larger conversation. Employee recognition is important for everyone, but many traveling sales reps don’t get chances to accept awards or attend birthday parties in person due to their schedules. If these salespeople don’t have opportunities to see they are valued by the organization, they may start to feel as if their work goes unrecognized. Find ways to show them their effort is appreciated, such as scheduling award presentations for when they can be on-site, or arranging for amenities in their hotel rooms when they reach certain milestones. Danny Wong is a marketing consultant, sales strategist, and writer. He does marketing at Tenfold, a seamless click-to-dial solution for high-performance sales teams. Connect with him on Twitter @dannywong1190.